‘She’s chilled out’: Kathryn Thomas talks about her baby girl | SHEmazing! Kathryn Thomas is one busy woman, that's for sure. The TV presenter might have only given birth to her adorable daughter Ellie six months ago but she is already back in work-mode – as well as mum-mode, of course. The 39-year-old welcomed her first born in March this year with her fiance Padraig McLaughlin and was back to work filling in for Ray D'Arcy on his RTE Radio 1 show in August. Kathryn has opened up about how things are going and the fact that Ellie is a fantastic baby. "I know how lucky we are because I have a couple of friends who's had really tough times with babies with colic or they don't sleep. But so far she's really chilled out and doing everything she should be," she said. Kathryn explained that because Ellie is sleeping 12 hours an night and because of this, she has been able to get back to work "a lot sooner than I thought I would". "I know that there are probably mothers out there who won't want to hear that, and I get that, but it's the truth. I just know how lucky we are because I just know without sleep that things would change completely, but so far so good," she said. As well as enjoying time with her little one, Kathryn has landed a new role as the presenter of Ireland's Fittest Family, as previous presenter Mairead Ronan has recently given birth to her second baby. 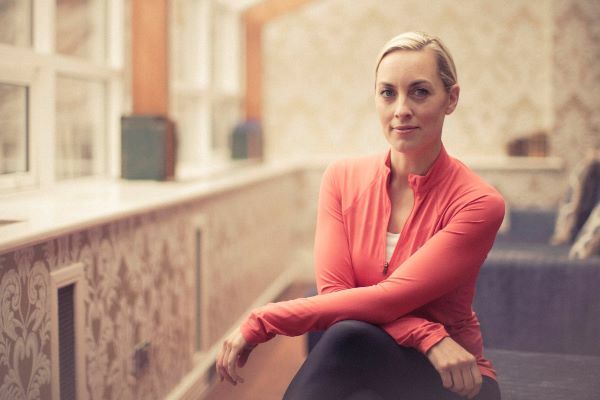 As well as keeping busy with her wellness bootcamp business, Pure Results Bootcamp, Kathryn is hosting a one day event, KT Fit Fix, about food and fitness on September 30 at The Pavillion, Leopardstown Racecourse. It is each woman's decision regrading when she wants to go back to work after having a baby, and we wish Kathryn all the best with her jam-packed schedule and, of course, gorgeous baby Ellie.